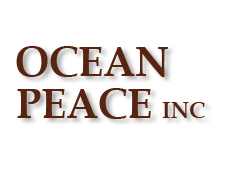 Ocean Peace owns and operates two catcher/processors that operate in the Bering Sea & Aleutian Islands. Both the F/T Ocean Peace and the F/T Seafisher catch, process and freeze-at-sea a variety of premium wild-caught Alaskan whitefish. OPI is a member of the Ground Fish Forum and the Alaska Seafood Cooperative. The Forum worked with the North Pacific Fishery Management Council to develop Amendment 80, which rationalized the non Pollock catcher/processor sector and allocated quota to its participants. The allocation of quota and the scientific management of the fishery help ensure the long-term sustainability of the species harvested under Amendment 80. The Marine Stewardship Council has certified the flatfish, cod, and pollock caught by the Amendment 80 vessels as long-term sustainable. The F/T Ocean Peace was originally built as the Amfish, one of the first modern catcher/processors built in the United States. The steel-hulled vessel was constructed in 1984 at Moss Point Marine in Escatawpa, Mississippi as a dedicated freezer trawler for the East Coast squid fishery and, at the time, was the largest catcher/processor vessel on the East Coast. The F/T Seafisher was purchased by Ocean Peace Inc., on December 29, 2011. The vessel measures 230’ in length, 40’ wide and over 1,400 GT. The F/T Seafisher was originally built as the M/V Savage, an oil industry off-shore supply vessel. The vessel was constructed in 1976 by Halter Marine Services, Inc., at Moss Point, Mississippi. In 1990, it was converted into a catcher/processor by Tohoku Dock Tekko in Shiogama, Japan. The M/V Savage was then renamed F/T Seafisher.